This is a momentous day finally being at the pool in a bathing suit all healed from my surgery. 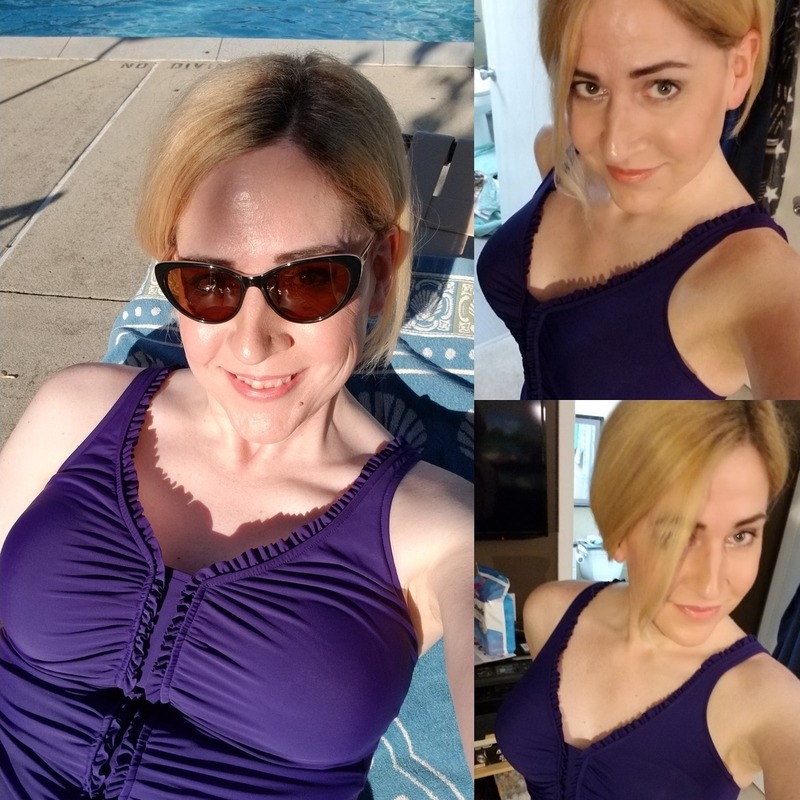 I didn’t shy away from the pool pre-surgery and went many times during my transition but now.. it is so different. All of the little anxiety moments about worrying how everything is fitting are gone. It’s amazing! The pool was rather vacant when my kids and I first arrived, but as I am writing this post laying by the pool it is now extremely crowded and I am still totally comfortable being here. I hope you all have a wonderful long weekend (if you have Monday off like us).